Welcome to the Dragonknight Shield Tank Build PvE “Pulse” for Elder Scrolls Online. This build was created for the Sheogorath’s Corner, thus it uses very specific sets and is here to bring fun and entertaining gameplay! The Dragonknight Shield Tank PvE Build “Pulse” features the sets Brands of Imperium which drops in White Gold Tower & Lunar Bastion which drops in Maw of Lorkhaj, both those sets can be obtained in either normal or veteran mode. As a monster set we are using the Lord Warden helmet can be obtained in Imperial City veteran mode and the should piece drops from the middle undaunted chest. This build is optimized around those three sets, if you want a more standard setup, then I recommend checking out my Dragonknight Tank Build PvE “Catalyst”, which is most commonly used in trials & dungeons. In this section of the build I will explain the different sets that we use and what you can do with them. The Brands of Imperium five piece bonus is: “When you take damage, you have a 10% chance to grant you and your allies within 8 meters a damage shield that absorbs 12040 damage for 6 seconds. This effect can occur once every 15 seconds”. The Shieldsize can change depending on your stats, for example when you have points in Bastion CP Perk you can increase the max shield size. The shield applies randomly as it has a 10% chance after getting hit. Usually when you have two or more enemies on you this set will almost proc on cooldown. This set can be a life saver in groups where people take a lot of unnecessary damage as it helps bolster the health and gives the healer more time to react when people drop to low health. The Lunar Bastion five piece bonus is: “When you activate a synergy, you create a lunar blessing underneath you for 10 seconds. The blessing grants a damage shield every 2 seconds that absorbs 2399 damage for you and your allies within 8 meters”. The shield size of this set is quite small but it reapplies several time on everyone and the radius is big. Every pulse reapplies the shield, it does not stack. The good thing about this set is you can choose when you want to proc it, all you need is a synergy to activate it. The Lord Warden Monster Set is a commonly used tanking set, the five piece bonus is: “When you take damage, you have a 50% chance to summon a Shadow Orb for 10 seconds that increases the Physical and Spell Resistance of you and your allies within 8 meters by 3870. This effect can occur once every 10 seconds”. This set actively increases the spell & physical resistances of your group members by 3870. This is a huge buff to damage mitigation and your group members will take about 5-6% less damage from enemy attacks. The Torug's Pact set is only used in the alternative gear setup. This set is commonly used amongst tanking setups as it provides really good buffs and debuffs for the group. it is usually used with a Crusher Enchantment to decrease the resistance of the boss, so your damage dealers deal more damage. And the weakening enchantment to debuff the bosses damage so you have less incoming damage. The Torug’s Pact is listed because it is craftable, which means it is quite easy to get Sword and Shield for the set. The Defensive Position only works in combination with Defensive Stance, you do not necessarily need this set, but it is a nice addition. It helps with magicka sustain. Every time you use Absorb Magic and absorb a spell you gain magicka. However, be careful because Absorb Magic uses up stamina which you need to block. Dragonknights have insane resource management compared to other setups. Battleroar and Helping Hands passive outperform other classes already by a huge margin. A Templar can also support you with Spears to give you about 4000 Stamina back, that is also the reason why we have more Stamina than Magicka. The Spear, and same thing goes for the Energy Orb from the Undaunted Skill-line, it restores your higher resource pool. So our Stamina is higher than our Magicka pool, which means we will always get Stamina back from the Spears or the Orbs! Also, you do not always need to permablock, so when you have time, do some heavy attacks to restore resources! Being an Argonian helps immensly with sustain, because everytime you activate a Potion, you get a ton of extra resources back. As you may notice in the picture below, we do not have a lot of magicka recovery, so how do we sustain? Our Magicka sustain comes mostly through Balance, Battle Roar and Potions. Balance trades health for magicka, so you can basically spam it as long as your healer heals you and you will get full magicka without issues. Now keep in mind, there is one downside with this. Balance reduces your healing done and shield size by 50% for the next 4 seconds. You still receive normal amount of healing from your Healer, it is just the heals and shields that you cast get cut in half. Brands of the Imperium is not affected by this, you will always get the full size of the sets shield because it is a set bonus automatically applied to you. Lunar Bastion, Igneous Shield and Magma on the other hand will receive a 50% cut, if that 4s debuff is still up. With practice you will notice, that this is not such a big deal and 4 seconds are over quite fast. You also get Major Ward and Major Resolve from the Balance skill, increasing your spell and physical resistance. Note: Screenshot is from the Wolfhunter DLC, stats might vary a bit because of rebalancing from ZOS. We are using two really cool sets, Brands of Imperium which drops in White Gold Tower & Lunar Bastion which can be obtained in Maw of Lorkhaj normal or veteran mode. Both sets will give our self and the group shields. The Brands of the Imperium set has a 10% chance to give our group a big shield and Lunar Bastion can be activated with a Synergy giving the group small shields every two seconds, thus the name “Pulse”. In addition, we are using the Lord Warden Monster Set to also have a blue orb placed close to the group and give them extra resistances. Keep in mind, you will need S&B for either Lunar Bastion or Imperium, if you do not have swords and shields for any of those, as they are quite grindy to get due to RNG you can try using the Alternative Setup and use one of the two gear sets in combination with Torugs Pact. Asylum S&B: You can use the Asylum S&B on the backbar in combination with Absorb Magic to increase your magicka sustain. If you do not have the Asylum S&B it is also no biggy. 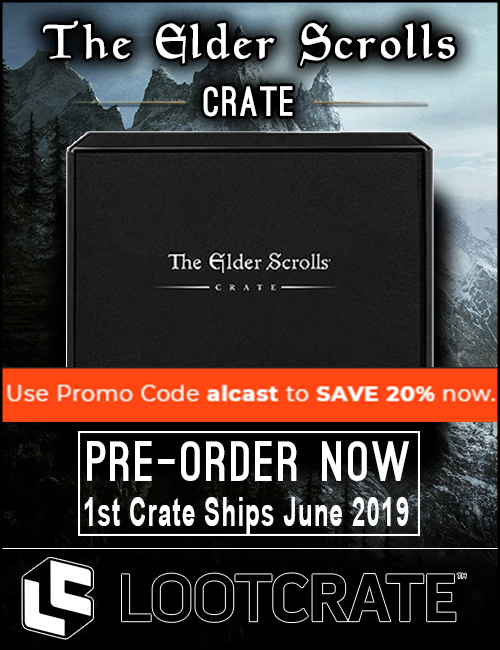 Torugs Pact is a craftable set, that way you can easily craft Sword & Shields for this Setup if you want to and then either use Imperium or Lunar Bastion. Make sure to adjust your skills to your needs, this setup is not maced into stone and adjust skills depending on the situation of a fight. Green Dragon Blood: While active, you receive a 12% healing boost due to the Burning Heart passive. Also gives you an insane burst heal if needed. Unrelenting Grip: Used to chain mobs to you, can be used almost indefinitely in combination with the Balance skill. Pierce Armor: Your main taunt, also debuffs the enemy with Major Fracture and Major Breach, reducing Spell and Physical Resistance by 5280. Balance: One of the most important skills for this setup. 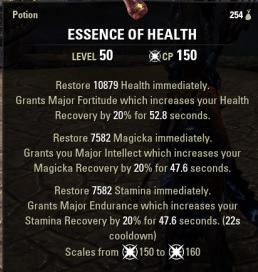 If you use Balance you restore 3000 Magicka and you gain Major Resolve and Major Ward. IMPORTANT: Be aware that when you use the skill, that all shields and healing skills that you apply yourself will be cut in half for the next 4 seconds. Magma Shell: Basically godmode for the next 10 seconds and applies a huge shield to your group members. Choking Talons: This skill is nice for trash, as it debuffs them all with Maim, reducing their damage done by 15% and roots them also. Heroic Slash: Debuffs the enemy with a 15% damage reduction debuff and also gives you Minor Heroism, increasing your Ultimate generation. Absorb Magic: If a Boss has hard hitting spell projectiles, this can heal you for a lot if used in the right moment, also reduces block cost. Inner Rage: This is your ranged taunt, in case you can not get to a mob fast enough. Igneous Weapons: Can be used to give Weapon and Spell Damage to your group members. Aggressive Warhorn: Secondary Ultimate that can be used to buff your group members stats. 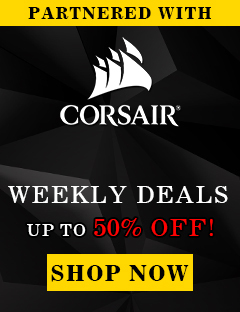 Why no Volatile Armor? The Balance skill gives you the same armor buffs as Volatile Armor, it is also very essential to the build, as it literally gives you INFINTE sustain. You have to make sure to have a bit more Stamina than Magicka. Because of the Synergies you pick up give you back whatever stat is higher. 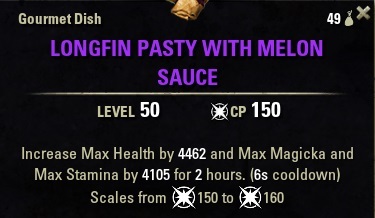 You can change this to your liking as long as you have more Stamina as Magicka. I highly recommend being a Vampire. Vampire provides you higher Magicka and Stamina recovery and makes you tanky on low health like I explain in the Vampire Mechanics Video.